Looking for an original gift that can be cherished for years to come? 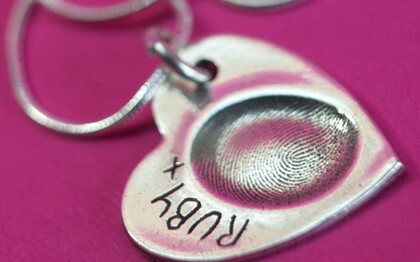 Smallprint offers a large range of stunning personalised jewellery that can be worn and enjoyed every day. 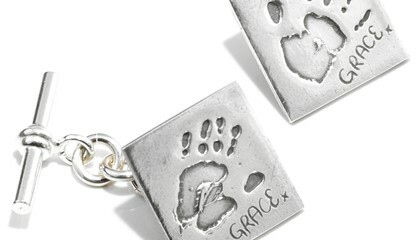 Smallprint began with jewellery that captures a child's fingerprint in pure polished silver. Each piece is actually touched by your child, which ensures the best possible print is achieved. Smallprint jewellery is individually handcrafted and engraved and comes beautifully packaged to create the perfect gift for any family member. Smallprint have now extended their range to include the innovative Mini Masters, Love Letters and High Fives & Little Kickers collections. 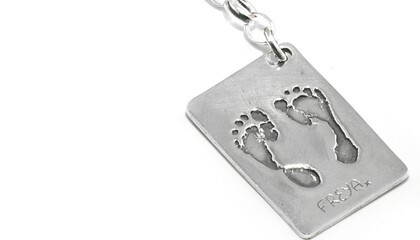 High Fives & Little Kickers capture your child's hand & footprints in pure silver jewellery. Now your prints can be worn close to your heart wherever you go. The Love Letters collection are a delightful and unique way to capture a child's tentative first attempts at writing by turning them into a charming piece of precious silver jewellery for years to come. 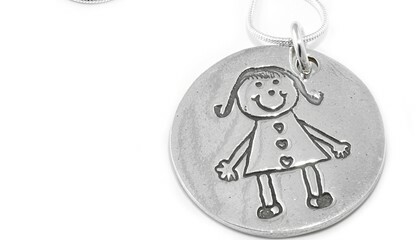 Smallprint also produce the Mini Masters collection, a unique way to turn your children's simple line drawings into silver masterpieces. 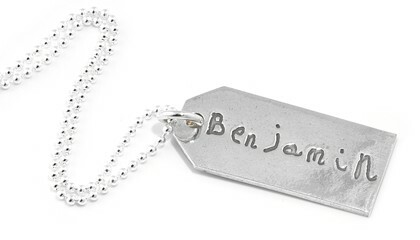 Show your loved one just how special you think they are with a pendant, keyring, charm bracelet or cufflinks. If all the choice is a little daunting, why not let them choose by giving a Smallprint voucher instead? Prints can be taken at the markets and it takes 2-4 weeks to create your special piece. Get in early for Mother's Day, Father's Day and Christmas!